The Bolla mini pendant is a stunning contemporary mini pendant light. Use this light in multiples to create a unique lighting effect. 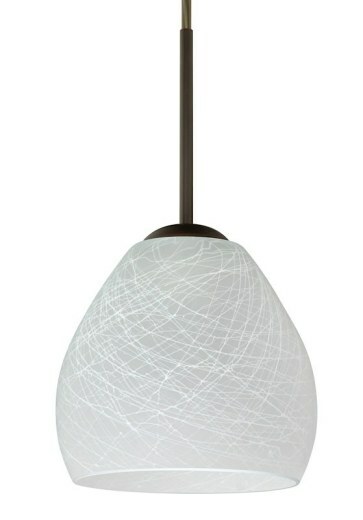 Shown in cocoon glass, this neutral pendant will match with a variety of styles and decor. Lamp is 40W incandescent or 50W Xenon, suitable for dimming. Bulbs not included. Cord Hung Suspension: 10' cord, complete with 5" decorative sleeve at the socketholder. Suitable for damp locations (interior use only).